Google. "Subaru Brat bad __________"
I guess I need a biography? I got a BRAT and got into an accident within a month. Not my fault. Almost made me sell the car I just bought. But didn't. Mine is missing an eye. But I still love it. Possibly. But judging by the OG exhaust manifold I changed, which was plagued with rust holes EVERYWHERE I wouldn't be surprised if most is original. I'll try to replace the rear wheel bearings and swap the axles and see what the results are after that. But I would appreciate more info about those mounts. I have a 1985 with 179k miles on the clock, got it about 2k miles ago. From the looks of it, about 95% was original when I got it (mostly for worse). It seems that every part I change is original too. Thank you for the responses! And you are right bratman2, I didn't change the rear wheel bearings, yet. I actually already have a set of wheel bearings and seals I planned to change as well. As far as the axles go, since I can't find any complete replacements, I also went and bought boots and grease to put on them. Just haven't gotten around to doing that this winter. As far as the mounts go, I know I need to change mine too. But I get some people saying there are 3 and others that there are 4 mounts. How many are there and where can I get them? I know I can find them at Rockauto and Ebay, but I don't trust either too much. I hear that switching axle sides helps in case there's wear in the joints. The theory being that switching them uses the side of the bearing that is less used. How true is that? And in the worst case scenario where I grease, reboot, switch and still no dice. Where can I source reliable rear axles? I have an issue I can't seem to shake. 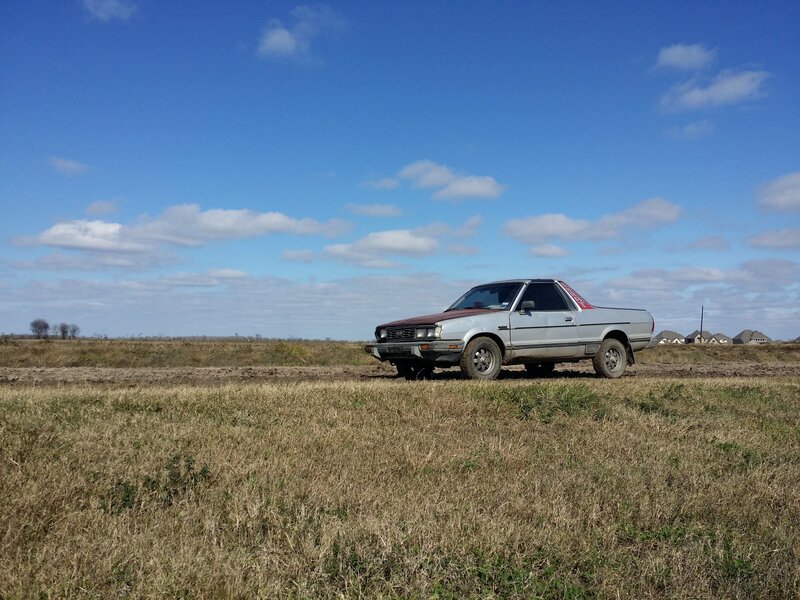 My 85 BRAT vibrates when I drive over 45 mph like clockwork. The vibration sounds like a low, constant rumble. And I can feel it on my back. The vibration seems to ease a little when I let go of the accelerator (above 45 mph), but it does not go away. It then eases again when I make it past 70 mph, but doesn't go away entirely. I have brand new u-joints in the drive shaft (it clicked as I moved) and the vibration was there before and after I changed them. It also has brand new inner & outer tie rods, ball joints, front wheel bearings, front axles, shocks in the rear, front rotors, rear brake shoes. I had a tire alignment (needed to anyways after the tie rod change) and even though my tires have maybe 1,700 miles on them, I rotated the tires and balanced them anyways, but the vibration stayed the same. Other than the rear axles, which for the life of me I can't find at all, new, used refurbished or any at all. I can't figure out what could be the cause. I keep seeing almost everything pointing to either the tires or the axles, but with no new rear axles to be found and tires already rotated/balanced, I'm out of ideas. Any and all help is appreciated!